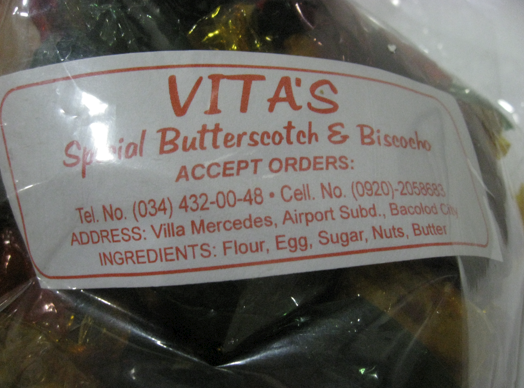 Bacolod Finds: Victoria's Ham & Vita's Butterscotch: YUMMEH!! Two Christmases ago, my dad was gifted with a round Victoria's Ham. My mom and my twin brother were raving about it saying that it was the best ham they've ever tasted. They let me taste a slice, and I must say - it was really good! My mom even saved the box, so she can order it - but there was no number on the box. We searched online - got a Manila number, but when we called - no one knew what we were talking about! Our efforts with the searches ran futile because we couldn't find anyone who knew the brand nor the product! So three months ago, when my twin brother went on a trip to Bacolod, my mom specifically told him to look for the ham and buy some. When he got home - he brought with him the ham, but instead of a round ham - it was sliced ham. My mom and I were skeptical, but when we tasted it... IT WAS THE SAME HAM!! It was love at first taste! Too bad my twin only bought 2 packs - he thought it wasn't the right kind, so to be safe - he just bought two. Can you guess how long the 2 packs lasted us? Two freaking days! And to think that we were saving it! We were so happy to learn that a friend of my twin was coming to Manila from Bacolod - he then asked his friend Neil - to buy us some. Yehey!! Last November, my twin announced that the hams were arriving that day. We were all excited but my mom was the most excited! Hahaha... She immediately asked the driver to pick up the hams in Greenhills. Thank you Neil! You sure made my mom giddy with delight! After sorting through 2,600+ comments (my gosh, it wasn't as easy as I thought! THANK YOU everyone for joining!!) Here are the official winners for my Birthday Raffle! Raffle! 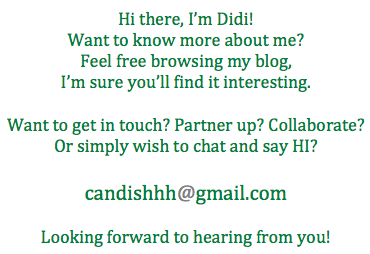 I will be sending you guys an email shortly! Kindly reply as soon as you can!! Again, THANK YOU to everyone who joined!! I went to my friend Selene's house one night because my Panget had a basketball game. I caught her having a very light dinner - a salad dinner. Selene is very thin, that's why I don't understand why she still has salads for dinner! 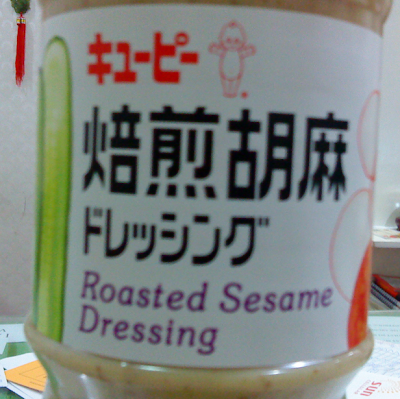 She said that she's too lazy to cook, and that she found a salad dressing that she really likes. She showed me the bottle - it was a Japanese brand - she called it the naked Japanese baby. I found out later on that it was the Kewpie brand. She offered me some fresh greens - I was honestly skeptical. I thought it was one of those salad dressing that didn't taste good. But when I tried the dressing, I couldn't stop eating the greens! The dressing was so flavorful - it really did taste like roasted sesame! When I asked her where she got it she said that she bought the big bottle from DEC along Wilson Street. I then asked my mom if there were any Japanese grocery store in our area - and she said that there was, along Timog Avenue. So when we were a bit free in the office, my mom decided to take me to the Japanese Grocery store. Last night, my Panget told me that we're watching a new show on his Popcorn Hour. I was skeptical, and asked him what rating it had on IMDB (as he bases some of his TV downloads from the ratings there). He said that he didn't check the ratings - what he checked was those in the cast, and since Summer Glau was one of them - he immediately downloaded it. Tsk.. Tsk.. I found the show really entertaining, I don't know - but I think it's the geek inside me (thanks to my Panget!) that liked the show. I enjoyed watching the first two episodes, I thought it had promise! But my Panget said this show won't get passed 6 episodes. Hahaha!! I'm hoping he's wrong. I have been watching TV a lot since last Friday. 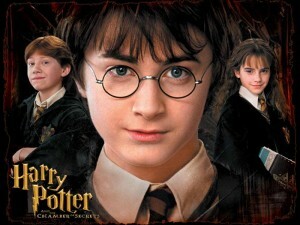 I don't know why, but somehow - my Panget and I saw the first three installments of Harry Potter. And I must say - they're nice! I never expected to like watching Harry Potter! We actually saw two installments in one go! Hahaha.. Can you believe it? Found it quite cute that we saw the kids grow up! The first two episodes they looked like kiddoes, but come the third installment, gwapo na si Harry! 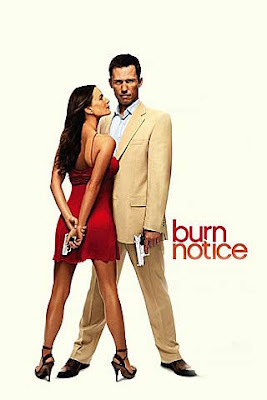 Hahaha..
My Panget has been raving about the show Burn Notice - and honestly, I didn't like it at first, but it somehow grew on me. Now, I'm liking the show! We're currently on the third season - and there are a lot more episodes to go!! Yipeeeee!! 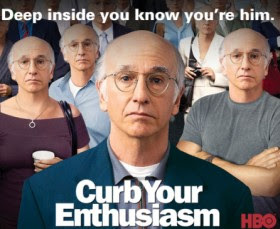 Last Saturday afternoon before going to the doctor, I caught an episode of Curb Your Enthusiasm on HBO. My friend's husband has been telling me to watch the show - he said that it was so funny! I saw the first three episodes of the first season about two years ago and it was funny, but not enough for me to follow the show. But that afternoon, I found myself enjoying the show very much! Larry David is really really funny! He doesn't make me laugh outloud while watching the show, but he makes me laugh when I share the happenings of the show to my Panget! The guy has a lot of issues - but man, is he funny! I hope to catch the newer episodes on HBO! I can't believe its on its 7th season!! Wow! So, what did you watch? Since January is also my birthday month - I am holding a raffle to celebrate my birthday!! Yey!! I am giving away body washes, lotions, hand washes, lip balms and face masks! 3) You can post as many comments as you want! THE MOST NUMBER OF COMMENTS will win the loot!! *In case you submit multiple entries for all the loots - you will win the loot of your FIRST entry! Contest is open to Metro Manila residents, but if you're outside of Metro Manila and still want to join, you'd need to shoulder the shipping charges! Last Saturday after sumptuous dinner at Choi Garden with my Panget's maternal side, I convinced him to drive me to Happy Lemon at Promenade! I wanted to try Happy Lemon's drink with the cheese and rock salt. You see, I've been reading about this drink from The Club and I got really curious. Happy Lemon is located where the Fully Booked's graphic novel section was before - on the ground floor of Promenade, right beside Starbucks. The place was packed when I got there - the tables inside and outside were all filled, this made me think that the waiting time is long. That's why when I entered, I immediately asked the cashier if my order will take long - she smiled and replied that it'll take less than three (3) minutes. I think - that waiting time is good enough! I got their rock salt and cheese bestseller - the green tea! And so I waited, and indeed in less than 3 minutes - my order was done! The person who took my order asked if I knew how to drink the tea - I said no so she instructed me how to drink, she said for me to make short sips and not stir as much as possible. And that's what I did. The taste was actually weird - but yummy weird, as my friend Kathrina described it - it was savory! It wasn't the normal milk tea drink that I am used to, but it was a good change. 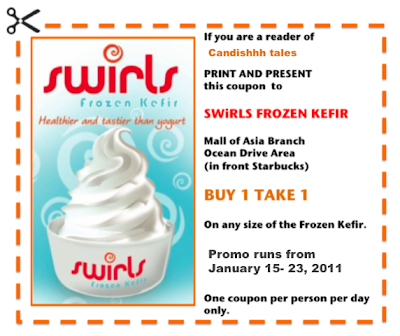 I wonder tuloy how their milk teas are.. Maybe on my next visit! My BIL discovered a new ice cream shop along Tomas Morato, he didn’t even know the name of the store, he just mentioned that it was on the same side as UCC and it was a building or two right after. So after a pedi session, my Panget and I headed to that direction – not knowing where exactly the ice cream shop was located nor the name of the store. My Panget and I then saw a signage that said Paradis Ice Cream Shop, we had a feeling this was it because it fit the description my BIL was saying. The shop was fairly new – it had the sign soft opening on their front door. And when we entered, the place was fairly new – it seemed like the interior was hastily done. We were greeted by smiley staff members – I then asked what their products were and was told that they serve gelato – a healthy kind of gelato because the ingredients were fresh and all natural. They had gelato flavors such ash Beet Carrot, Green Mango, Chocolate with Saffron, and etc. What intrigued me the most was their Yolive – this was the healthy yogurt with a twist. Yogurt that has – olive oil. Can you believe it? Yes, it has an olive oil flavor to it. And since I love the taste of olive oil, I indulged the free sample they gave me. The yogurt tasted fantastic – it really had a hint of olive oil. My Panget didn’t like it – so did my BIL and MIL! They found the taste weird, but I LOVED it! Call me weird but I enjoy tasting olive oil in the yogurt. I do not know how they combined it BUT for me, it tasted great – the combination was wonderful. As for the gelatos my FIL found them too sweet, I didn’t get to taste the gelatos because I was enjoying my Yolive too much!! Here’s my neice enjoying her Yolive!